How do you sign up? How do you install it? What does it mean to be a beta tester? We've got answers to your questions. Should you install the iOS 12 public beta? At Apple’s Worldwide Developers Conference last June, the company revealed El Capitan, the next major version of OS X (version 10.11). El Capitan will be officially released in the fall, but later this morning, Apple is making a pre-release version of El Capitan available to the public. What’s the difference between the beta version of El Capitan and the shipping version? How do you get the beta software? Will the beta work on your Mac? You have questions about the beta, and fortunately, we have answers. 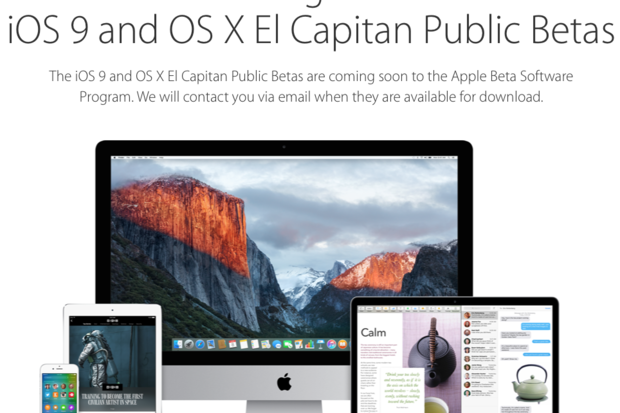 What is the El Capitan public beta? Apple’s Beta Software Program lets Mac users install beta (pre-release) versions of OS X and provide Apple with feedback on those versions. “Beta” is a term that developers use to indicate when software is close to being ready for release but still requires testing. The versions of El Capitan available through the Beta Software Program will not be finished products. They’ll have bugs, some apps—from both Apple and third-party developers—won’t work as expected, some services may not work, and there’s even the potential for data loss. I haven’t signed up for the beta. Can I? How? Go to the Apple Beta Software Program, click the Get Started link, and follow the steps. You’ll need a valid Apple ID and you’ll have to agree to the terms of Apple’s OS X Beta Software Program Agreement. 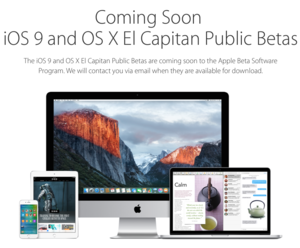 The El Capitan beta will be free to download for program participants. I’m a member of the OS X developer program. Do I need to sign up for the El Capitan beta, too? Apple says, “Participants in the Apple Beta Software Program may receive different beta software from participants in the Apple Developer Program.” We suspect that if there are differences, developers will get access to new beta versions before the general public, and will possibly receive more-frequent updates. What do I need to run the El Capitan beta? 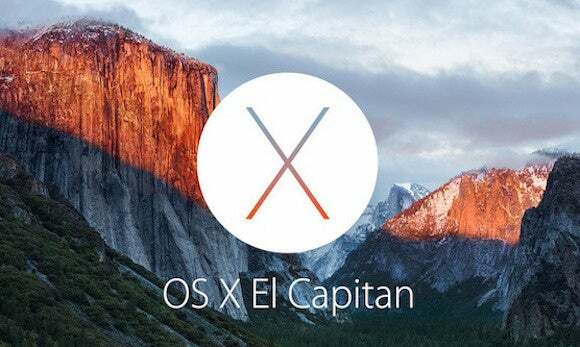 If your Mac can run OS X Mavericks (version 10.9), you can probably run the El Capitan beta. We recommend the same minimum specs for running Mavericks: at least 4GB of RAM (and preferably 8GB); and at least 15GB to 20GB of free drive space. 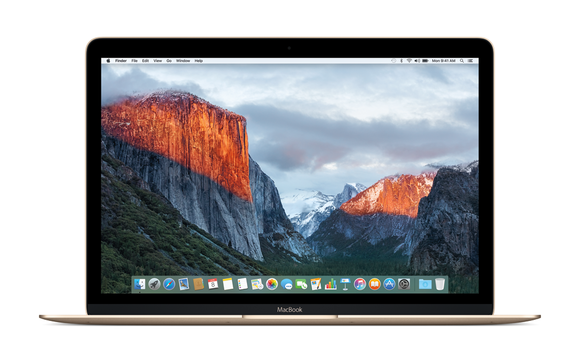 More important, we strongly recommend against installing the El Capitan beta on your primary Mac. Ideally, you should have a separate Mac dedicated to running the beta, so that if you have any serious problems, you won’t be stuck without a working Mac. If you have a virtualization app such as Parallels or Fusion, you can install the El Capitan beta in a virtual machine. This will let you test the new OS, relatively safely, in a separate window. Should I do anything special to safeguard my data before I install the beta? Back up, back up, back up. Unless you’re going to install the El Capitan beta on a secondary Mac (or on a secondary drive or partition, or in a virtual machine) and you don’t care about losing data on that Mac or volume, you’ll want to have a good backup plan—ideally, a separate backup plan from the one you use to back up your main Mac or drive. The last thing you want to do is accidentally overwrite your non-beta backups with data from your beta-test system. And even if you do install the beta on a separate volume or in a virtual machine, you’ll still want to make sure you’re maintaining your main backup routine, just in case the beta inadvertently affects other drive or volumes. Once you’ve installed the public beta, make sure not to entrust any important data to only your test Mac or drive. Multiple copies of important data are, as always, a good idea. I’ve been accepted to the beta program (or I’m considering signing up). Should I install the beta? Users of beta versions of OS X have traditionally been developers who wanted to test software on the new OS before release, or people testing the OS itself for compatibility with other apps, services, and IT systems. Of course, there have always been bleeding-edge early adopters who just want to see what all the fuss is about. But just because you can, should you? It’s ultimately up to you, but there are a few factors to take into account. As we mentioned, beta software is by definition unfinished, which means that you could run into bugs or flaws that significantly impede your day-to-day activities—and, in the worst-case scenario, could result in data loss. Do I have to do anything special to be a beta tester? How can I be a good tester? Apple doesn’t have any formal requirements for beta testing, but remember that the purpose of the beta program is to provide Apple with feedback about the upcoming OS. 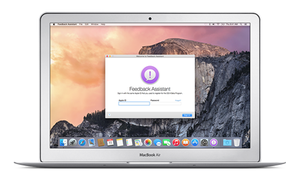 If you install the El Capitan beta and come across bugs or other problems, you should report those issues to Apple using the Feedback Assistant app included with the beta OS. Apple is also looking for feedback on specific features and the OS as a whole. If you’ve ever thought, “I wish I had a way to let Apple know what I [like/dislike/love/despise] about this feature,” this is your chance—before the OS is even released. All of this means that taking the time to provide detailed, actionable feedback is vital. For example, a good beta tester does more than file a report that says “Contacts crashes.” You’ll instead want to explain exactly what you were doing when you saw that crash. If the steps are reproducible, even better: “Whenever I try to add more than three phone numbers to a contact, the Contacts app crashes” is useful feedback. If you don’t have the time or dedication to provide that kind of feedback, you’re probably better off just waiting for the official release this fall. Apple would surely rather give a beta-program slot to someone who will be a good tester—and, frankly, we agree, as good beta testing means a better, more-stable release of El Capitan for all of us. Of course, you shouldn’t expect Apple to change major features based on your feedback alone, and general griping—for example, venting about how you don’t like the “flat” look the company is adopting with its user interfaces—is likely to fall on deaf ears. But bug reports are vital feedback that can, and often do, result in fixes and improvements. And if the company receives enough constructive feedback about a particular feature or interface, there’s a good chance Apple’s engineers will take a look—if not for the initial release of El Capitan, perhaps for a subsequent update. How do I install the El Capitan beta? You’ll install the El Capitan beta just as you would any other current Mac OS: You download the installer from the Mac App Store, double-click the downloaded installer app, choose a volume on which to install, and follow the prompts. How do I send that feedback to Apple? 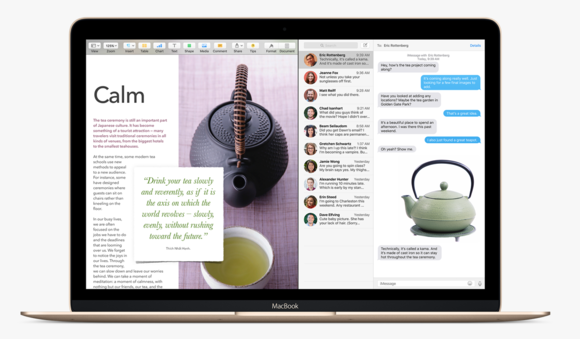 The beta version of El Capitan includes the Feedback Assistant app. You launch the app and follow the steps. For example, on the Questions screen, you choose the general area about which you’re providing feedback (for example, System Crashes, AirDrop, or iCloud Keychain); and then any specific sub-area, if applicable. You describe the issue in a single sentence, and then provide a detailed description, including any specific steps that reproduce the issue. The Feedback Assistant will request permission to collect diagnostic information from your Mac, and give you the opportunity to attach other files, such as screenshots that show the issue you’re reporting. Finally, you’ll see a summary of your submission; click Submit to send it to Apple. How do I know if something is a bug or not? In general, if something doesn’t work as it should, that’s a bug. If you can’t figure out how to do something, that may be a bug, or it could just be an interface that needs tweaking. If something works the way Apple designed it to work, but you just don’t like it, that’s not a bug, but your opinion may still be useful feedback. The good news is that you don’t have to worry about which is which. Just use the Feedback Assistant app to provide your feedback. Apple will sort it out for you. What if I’m having trouble with a third-party app under the El Capitan beta? Do I report that to Apple? Yes. In fact, the Feedback Assistant app even provides a 3rd-party Application Compatibility category when submitting feedback. However, in most cases, you should also take a few minutes to provide that feedback directly to the app’s developer, as Apple is unlikely to forward it. Most third-party apps provide a button or link (in the Help menu, in a preferences or settings window, or somewhere in the app’s main interface) for contacting the developer. If you can’t find one there, check the developer’s website, or, for apps purchased through the Mac App Store, use the Support link on the app’s Mac App Store page. Whatever you do, don’t leave bad reviews for third-party software—on the Mac App Store or wherever—based on issues with the El Capitan beta. If the app still has issues once the final version of El Capitan is released to the public, criticism is fair game. But it’s not okay to ding an app for issues with an OS that hasn’t been released. Can I talk about the beta publicly? However, you can discuss any information that Apple has publicly disclosed; the company says that information is no longer considered confidential. 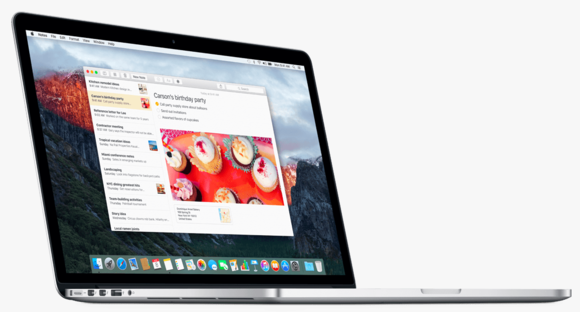 Will Apple provide updates to the El Capitan beta? Do I have to update? Over the course of the beta program, Apple will provide periodic updates to the OS. These will be available through the Mac App Store. It’s a good idea to update, so you know you’re running the latest version of the El Capitan beta, though you won’t be required to update. What if I install the El Capitan beta and regret it? Can I go back to Yosemite? Unlike with iOS, you can always revert to an earlier version of OS X, though depending on how you back up, it’s not necessarily a painless process. If you followed our advice and installed onto a secondary Mac or drive, you can just erase that volume and go back to your “real” Mac or startup drive and pretend the El Capitan beta never happened. If for some reason you need to go back to an earlier version of OS X on your El Capitan beta Mac or drive, the easiest way is to make sure the data on that drive is backed up; erase the drive; install Yosemite onto it; and then, on first startup, use the OS X Migration Assistant to import your data from the backup. Will I be able to upgrade directly to the final version of El Capitan? Or will I have to erase my testing drive and start from scratch? The public beta will automatically update using the Software Update mechanism used for other OS X updates! So it should be very easy. Dan Frakes and Dan Moren wrote the original version of this article.